When you choose our premier Kennesaw Flooring Company, you're getting full services for all your flooring needs. At 1st Quality Floors, our experts give you a luxurious floor that you'll love for many years. Whether you're interested inone of our luxury hardwoods, or a sophisticated and beautiful quarried marble, our experts are only a phone call away. Your Kennesaw, GA home or business is just waiting for one of our quality floors! We know how much you love your home, and you'll love it even more when we're finished with your new floor. We can install any type of flooring you want and can even give you a custom look you're going to be proud to show off. With a few ideas like a border or other design pattern, our Flooring Company can create the look you're wanting for your home or business flooring. Whether you are a commercial business or a homeowner looking for Kennesaw Hardwood Flooring options, you'll have lots of choices available at 1st Quality Floors. Hardwood is a top choice for many because of its warmth and flexibility to go with any décor whether you have a simple design or high class luxury design in your space. There's always a hardwood option out there for you no matter your taste profile! Let us help you install your new hardwood flooring and you'll have a great floor for years on end! When you have a hardwood floor or any other type of flooring, you'll wind up getting scratches and other small damages to the flooring as the years go by. While these nicks and scuffs give the floor a unique and lovable quality, there comes a time when all the sheen and luster of the floor is worn off. The floor begins to fade and look dull, and becomes an eye sore when it gets bad. Whether it's hardwood floors, or natural stone, the floor will eventually need replacing or refinishing. Let our Kennesaw Floor Refinishing take a look at it and advise you on what options are available for your particular floor. LVT flooring, or Luxury Vinyl Tile flooring, is one of the best choices you can make when you're wanting to find an affordable floor that doesn't eat up your entire remodeling budget. It's a durable floor that is able to flexibly resemble the look of other flooring materials like stone, marble, granite, concrete, wood, and more. But it's much easier to clean and easier to maintain. It's also an easy installation which makes it all that much more popular. When you need a floor, call us at 1st Quality Floors and you'll be enjoying your new space in no time at all! 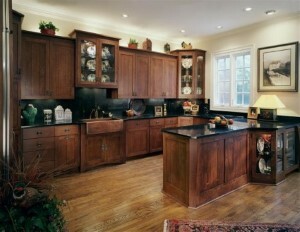 If you are looking for Kennesaw Flooring Company then please call 678-615-7799 or complete our online request form.